Happy Mother’s Day to you Moms. The world is a better place because of you. I hope that each and every one of you has a wonderful Mother’s Day, doing whatever it is you choose to do today, whether it is being with your children or not. Since my children are grown and have families of their own and don’t live close by, I will be celebrating my day by trying to do nothing at all. This is hard for me to do, and every year I fail at it. In fact, as I sit here blogging about doing nothing, I realize that once again, I am doing something, blogging, lol. Already I have failed at doing nothing. Oh well, it is Mother’s Day, so I can change my mind, right? Happy Mother’s Day to my mother, who I will not see today as she does not live close by, but she will be visiting next week. I am looking forward to seeing her and my step-father and taking a day off to spend some time with them both and make it a special day for all of us. Did you know that the United States is not the only country that celebrates Mother’s Day today? Anguilla, Aruba, Australia, Austria, Bahamas, Bangladesh, Barbados, Belgium, Belize, Bermuda, Bonaire, Brazil, Brunei, Bulgaria, Canada, Chile, China, Colombia, Croatia, Cuba, Curaçao, Cyprus, Czech Republic, Denmark, Dominica, Ecuador, Estonia, Ethiopia, Fiji, Finland, Germany, Ghana, Greece, Grenada, Honduras, Hong Kong, Iceland, India, Italy, Jamaica, Japan, Latvia, Liechtenstein, Macao, Malaysia, Malta, Myanmar, Netherlands, New Zealand, Pakistan, Peru, Philippines, Puerto Rico, St. Lucia, Singapore, Slovakia, South Africa, Sri Lanka, Suriname, Switzerland, Taiwan, Tanzania, Tonga, Trinidad and Tobago, Turkey, Uganda, Ukraine, Uruguay, Venezuela, Zambia, and Zimbabwe celebrate mothers today as well. Albania and South Korea celebrate Parent’s day today, not just mothers. 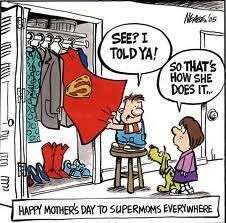 To all the mothers around the world, may your day be a great one for you too. A South Korean couple have been arrested for starving their baby to death. The couple, the father is 41 and the mother is 25, allegedly neglected their three-month-old daughter, who was born premature. It was also reported that both parents lost their jobs about the same time their daughter was born prematurely which may have led to the obvious depression these parents may have been suffering from. Once a day, between 12-hour stretches at a neighborhood Internet cafe, they fed their baby. Instead of nurturing their own daughter, they became obsessed with raising a virtual child in the popular role-playing game called Prius Online. The couple were arrested in Suwon, a suburb of Seoul, 5 months after reporting the death of their baby. The baby’s autopsy showed that she’d died due to a long period of malnutrition. There has been an increase in South Korea of Internet addiction and compulsive gaming leading to serious consequences and even death in the last few years. This increase has led to South Korea setting up an internet addiction camp, established in 2007.